Clean without further contaminating with chemicals. 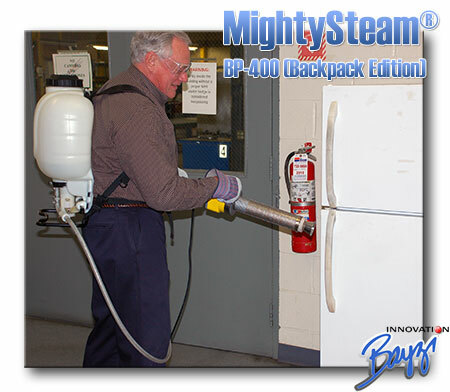 MightySteam® is a high quality portable steam generator ideal for many unique and routine cleaning requirements. 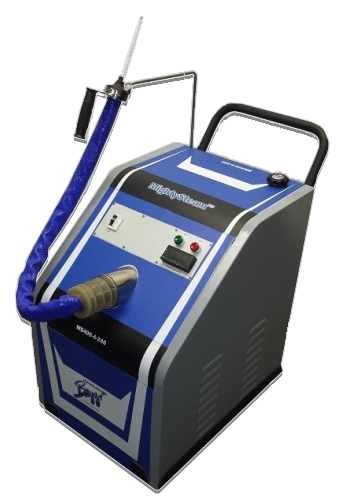 The MightySteam® units offer high-temperature superheated steam-jet cleaning that will save time. Steam up to 450°C. No pressure vessels. “We use it all the time (MS400 model) –wheel it around our food plant-….clean everything…for sanitation.. from stairwells, drains, equipment..”. More testimonials… “I definitely felt it clean…..”. Professor, Cincinnati, USA. More schools are joining the movement toward cleaning for health and appearance –from locker-rooms, closets, equipment to laboratories. A Few Reasons – Why Use The Powerful MightySteam®? Microbial contamination from biofilms and germ colonies leads to costs that are reported to be extremely high, every year, in infection control, epidemics, corrosion loss, and energy/infrastructure materials loss – throughout the world. Many governments and companies are well prepared. The MightySteam can be one feature of well preparedness or readiness for any epi or pandemic. Please consult your microbiologist for advice. Either Hi-Q pure steam at a high temperature or vapor units (steam air mixture) are offered in the MightySteam machines. MightySteam® MS400-4-240. delivers industrial strength 752°F (400°C) superheated steam. Full Hi-Q steam above the common inversion temperature. 4-5 kW Power. MightySteam® HGA-M-01(B) High-temperature steam-vapor (with Air) with high specific humidity. 1kW Power. MightySteam® delivers superheated steam within about a minute, no significant waiting like with traditional steam generators. The steam temperature is possibly useful for allergens and smells. Please ask your microbiologist for specific advice. MightySteam® offers high-temperature steam in a small package. Mobile -easy to move around. None of those heavy boilers to certify. The small footprint allows for easy storage in closets, cabinets or other small spaces. MightySteam® generates steam without the use of a high-pressure boiler. Our patented BoilerFree™ technology allows faster, safer steam without the need for certifications. Other safety features like a dual nozzle system-mode are provided. Regardless, please always use gloves, eyewear and all other safety gear. Learn about antimicrobial and antibacterial. MightySteam® offers one of the lowest prices for the temperature of operation. 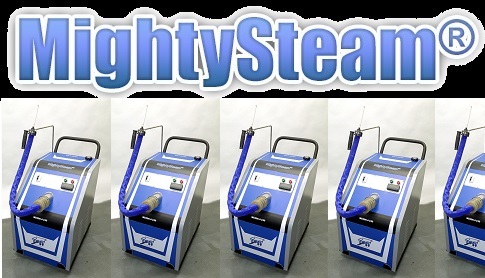 No other steam generator can offer the technology platform (patented) that MightySteam® offers. Made to perfection. Based solely on some of the published information that can be used to compare the price per maximum temperature capability, it appears that the MightySteam® is definitely very well priced. New: Enhanced 450°C discharge steam-jet temperature for the MS-4-240 model. The SaniZap® technology allows for faster and effective cleaning of surfaces. Deep Penetration. Instant Steam. Quickly treat large area surfaces. High velocity. Quick on-off. Defend with MightySteam®. High temperature, moisture-free production of non-chemical steam (H2O). No organic residue from this steam. Clean without further contaminating. Use in sensitive spots where chemicals should not accumulate. Sensitive spots include pet-messes and clean rooms. High-velocity steam outlet spray. Best energy efficiency with patented steam production. No boiler. On-Off at will. Easily dislodge hard to clean sticky substances with the 450°C (842°F) type steam. Cleanse at many levels. Hi-Q Steam. Control the temperature easily. With controls and application distance. Improved Productivity. Recycling of plastics and other non-disposables. A steam cleaning regiment could provide rapid productivity and cleanability. This type of steam cleaning also fits the real ‘clean-up after a clean up’ type of cleaning operation. We recommend rigorous testing with good superheated steam to ascertain whether new fungus strains of candida may be cleaned. All MightySteam® devices feature high-temperature steam above the common inversion temperature. Confined spaces as found on cruise liners are a breeding ground for illnesses such as Norovirus, or other hardy microorganisms. 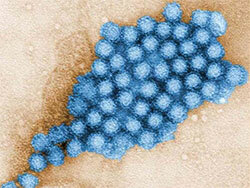 There are some acceptable ways to control Norovirus, including chemical disinfection and using high-temperature steam. Rarely can other steam generators provide power or technology to the standards that that MightySteam® units can. 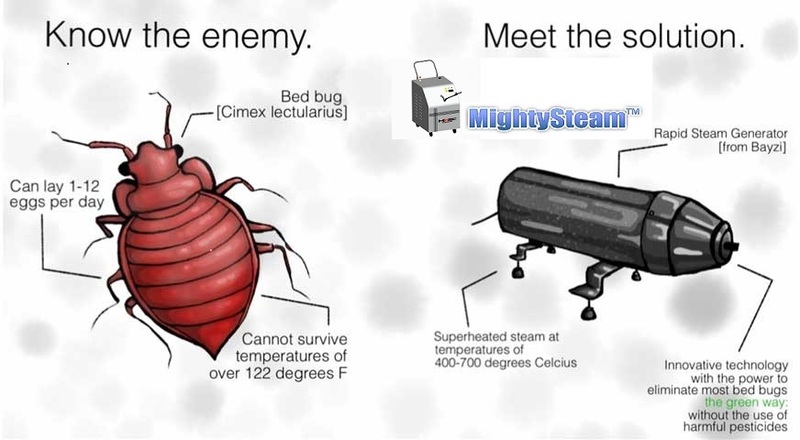 If you want to clean quicker and more effectively – MightySteam® may be the best answer. Instant on-off, high temperature, energy efficieny and mobility add to reduction of operational costs. Quickly treat large area surfaces. “I believe in keeping my family safe with the proper high temperature superheated steam cleaning. This is such a good direction for public health improvement products. When I cleaned my rest room at home i felt it clean even though I could not visually see if the very small bacteria had been inactivated”. How is the unit working for you? What all do you use it for? Have you had any issues with it? A couple weeks ago when turning it on the breaker would blow, had maintenance look at it and they determined it was a learning issue for a new person.. Since reviewing operating instructions with the new person no other issues have been reported. …We used the MHI Superheated HGA2 as a research and development tool for our surgical devices. The MHI Superheated HGA2 steam device performed well for us. It was used to heat various plastics and different materials up to 400°C with superheated steam.” Works graciously. Thank You MHI for the amazing devices. Web Contact Form: Please click here.